Cake-A-Doodle ~ Austin, TX - R We There Yet Mom? 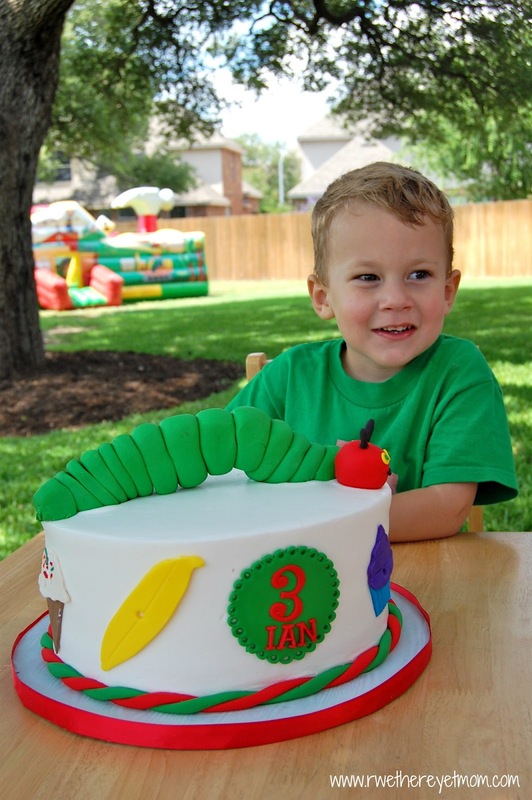 I had a ton of questions regarding this adorable cake we had made for my youngest son’s birthday party, so I thought I’d do what I do best…blog about it!! After all, I love sharing a great find with all my friends!! Cake-A-Doodle is an awesome find!! 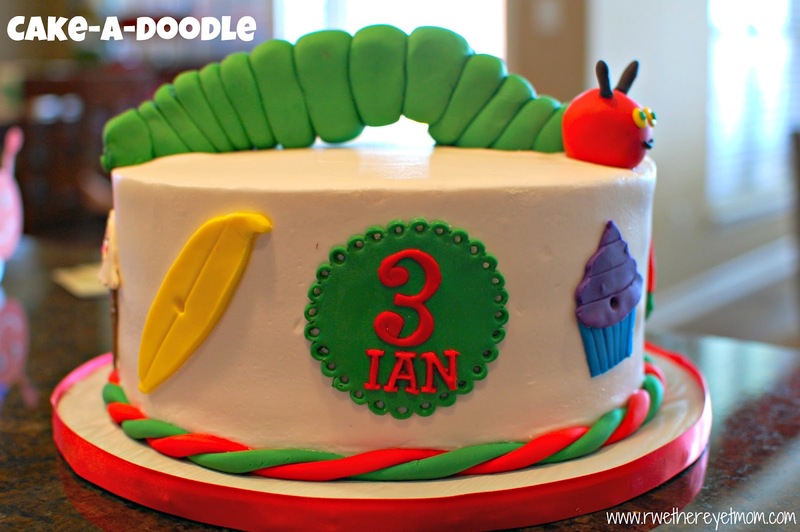 I wanted something different for my sweet boy’s 3rd birthday – not a typical store-bought cake (not that there is anything wrong with a store-bought cake, but sometimes you just want to do something creative!). I did a little research online and came across Cake-A-Doodle’s fun website. Cake-A-Doodle had some amazing cakes – especially a fun swimming pool cake – and I knew they could make me something FUN! I’m not too picky but I also don’t give a lot of detail about what I want, so that can either be a blessing for the cake artist….or not. Luckily, all I had to do was say “Very Hungry Caterpillar” and I had five pictures emailed to me the very next day. 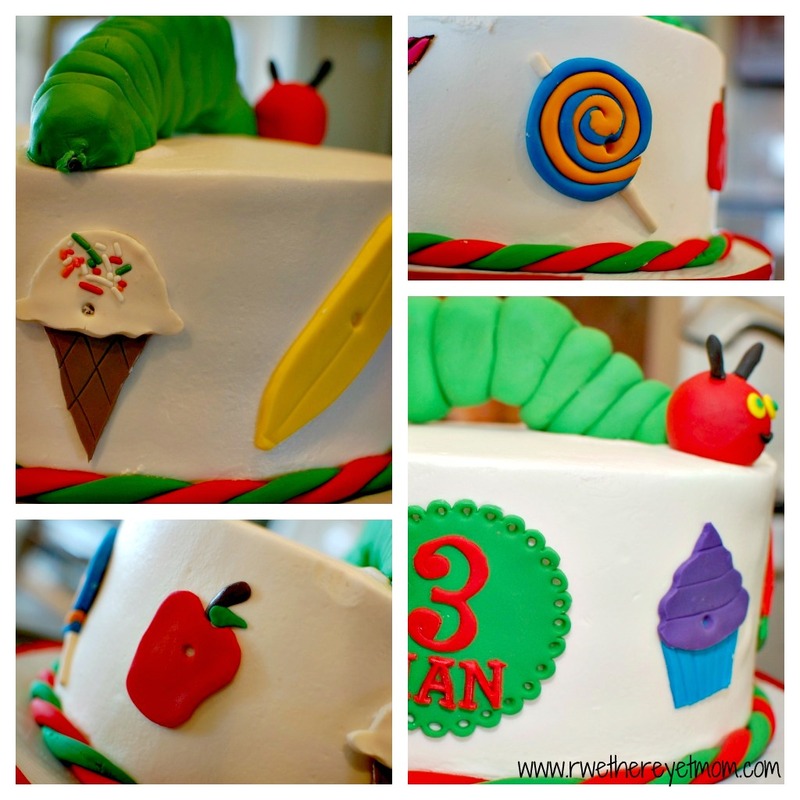 The details are what amazed me – from the holes in the fruits to the caterpillar’s body, you can tell that a great deal of time was spent on making it a perfect cake. Everyone oohed & ahhhed over it. So then the real question is “how did it taste?” Ah-mazing! Since it was a toddler party, we asked for a white cake with a white-buttercream frosting. There was a hint of citrus flavoring that made it unique and delicious. Fresh as can be. I can’t recommend an easier cake artist to work with, who does amazing designs. Please check her out. I just love supporting a momma’s dream, especially one they are so good at! Thanks Jhoana & Cake-A-Doodle! Cake-A-Doodle graciously supplied the gorgeous cake, however all opinions are definitely my own.